SWAN Plumbing, Heating & Air provides reliable and cost-effective HVAC and plumbing solutions in Englewood, Colorado. Our industry certified technicians have more than four decades of combined experience with the knowledge and tools necessary to help you solve your plumbing and HVAC issues and make sure the job is done correctly the first time. SWAN Plumbing, Heating & Air is available all week to assist with of any of your homes in Englewood, CO plumbing & HVAC needs, call us or schedule by email today! Or, click here to schedule your Englewood plumbing or HVAC service online. All residential HVAC and plumbing work performed by SWAN is backed by our 100% Satisfaction Guarantee. We guarantee we will fix the problem, or we will come back. You can count on SWAN for upfront and straightforward pricing with no unpleasant surprises. SWAN plumbers perform all types of residential plumbing services, from leaking pipe repair and drain cleaning to full repiping. Our licensed Englewood plumbers repair, maintain, and install plumbing systems, sewers, and water heaters to keep the water flowing in your home. We perform all types of residential plumbing services, including major repiping projects and routine repairs. Our industry certified Englewood plumbers have the experience and knowledge necessary to diagnose problems like rusty water, low water pressure, high water bills, and leaks. We will get to the bottom of any plumbing issue you may be experiencing. Common residential plumbing services we offer include drain cleaning, sewer repair, water heater repair and installation, garbage disposal installation, leaky pipe repair, and whole-home copper repiping. You count on your water heater to keep your water warm. Still, you probably don't give it much thought until you turn on the shower in the morning and get lukewarm or cold water. Our Englewood plumbers will get to the bottom of any hot water problems you are experiencing, including low water pressure, no hot water, hot water that runs out quickly, or water that looks rusty. We will recommend repairs when it is the cost-effective solution, or help you choose a brand-new water heater if yours has reached the end of its life. SWAN installs and repairs all brands of electric, gas, solar, and tankless water heaters. You probably don't give your sump pump much thought -- until you find standing water in your basement. Sump pumps work around the clock to keep your basement dry, but sometimes they wear out. Our plumbers offer affordable sump pump repairs and installation services to keep your basement safe and dry. For only $99 (reg. price $199) we will send one of our clean cut, highly trained & qualified, drain cleaning technicians to your home in Englewood, Colorado and fix any issues you may be facing with drains or sewer line right the 1st time! We offer a full range of drain / sewer line cleaning, drain snake & sewer scope services for all residential Englewood, CO plumbing customers. Your gas furnace may last for up to 18 years before it needs to be replaced, but you can save up to 15% on heating costs by replacing a furnace that is 15 years old. If your furnace is acting up or not working at all, our Englewood furnace repair technicians are here to help. We will diagnose the problem and recommend repairs or replacement, depending on the age of your system and the nature of the problem. Boilers usually last for nearly 12 years before they need to be replaced. If you have rooms in the house that are too cold or too hot, your boiler is probably reaching the end of its life. Our HVAC technicians in Englewood will get to the bottom of any boiler problems you may have and recommend repairs or replacement to keep you warm and reduce your energy costs. Do you have an air conditioner that's operating loudly or failing to keep your home cool? 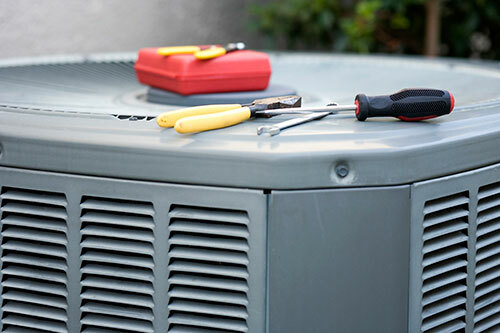 Even the best AC systems sometimes require repairs. Common problems we encounter include refrigerant leaks, compressor damage, electrical failure, low air flow, and deferred maintenance. 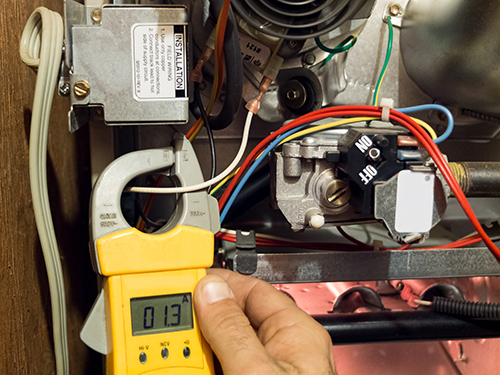 Our Englewood HVAC technicians will diagnose the issue and recommend repairs. If repairs are not cost-effective or not possible, we will help you choose an energy-efficient new AC system to lower your utility costs and give you many years of worry-free use. Routine maintenance is an affordable way to keep your air conditioner in peak condition and keep your cooling costs as low as possible. At SWAN, we offer a comprehensive 22-point AC tune-up that includes a thorough inspection, cleaning, and more to make sure your air conditioner is running as efficiently as possible. We will also inspect the ductwork in your home as sealing leaky ducts can save you up to 20% or more on your utility costs. A central air conditioner may last for 15 to 20 years if it is maintained properly. Eventually, all air conditioners reach the end of their life and become expensive to repair and inefficient before wearing out. If your AC system is more than 10 years old, makes very loud noises, or has been repaired several times in the last few years, our Englewood AC experts will help you select a brand-new air conditioning system that can help you save up to 20% on cooling costs.